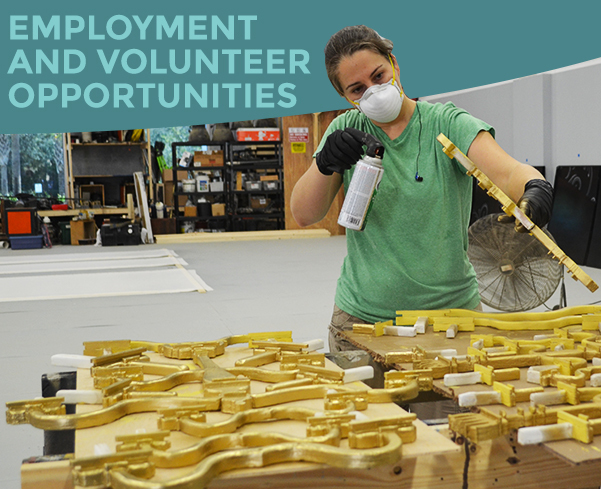 Maltz Jupiter Theatre is currently seeking qualified overhire Scenic Artists to assist with our upcoming 2018/19 season productions. • A comprehensive knowledge of traditional scenic paint techniques and carving practices as well as the ability to understand and paint from samples and renderings. • Have a positive attitude, strong communication, organizational, and time management skills. • Applicant must be able to lift and carry heavy scenery and climb ladders. This is a part-time hourly position. Housing and transportation are not provided. • Assisting with the setup, running and striking of all props, scenery, and stage production equipment. • Must be able to routinely lift forty-fifty pounds, do ladder work, and work in heights up to 30 feet. Travel and housing is not provided.